In our duo review, that is unnecessary late, we see lots of talking, lots of revealing and lots of potential for plot twists. There's quite a lot to go for and you've all waited long enough, so let's just jump in to the theorising and admiring! Oh and someone is pregnant, so that's always fun for stories. Are they about to make out? Give each other some space, guys. So rude! Our first chapter begins with the main cast looking up at the Water God Dragon in his horns and sweet suit, all of the water drained from the area. He threatens my new wife Kyria but she refuses to leave, until she and her companion start to turn into ash, apparently being "summoned" by someone named Skullion. With them conveniently gone, Natsu looks up to ask the Water God Dragon what his deal is. 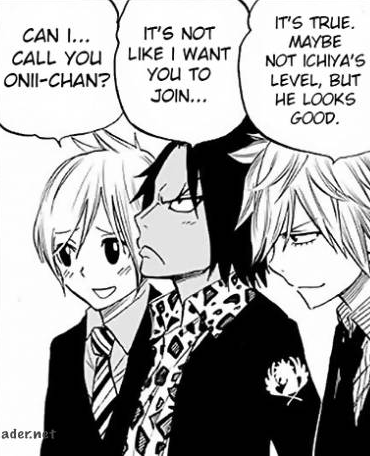 Starting to think Mashima should write a harem story. He clearly loves the events/situations in it. Mercuphobia, the WG Dragon smirks, realising that Elefseria has brought them here, after sending many assassins in the past. He reveals that although he is not a man with any anger or hatred, he should still be sealed away. The group, including Kashima, are swept away by the water and end up in a palace with air. Mercuphobia also reveals he can undo certain magics, as he restores Wendy back into her loli form. Camille, Mercuphobia's assistant/secretary, shows up demanding answers. This character, who might remind you of One Piece's Kalifa, demands answers and isn't afraid to be upfront with them. She tells them leave Mercuphobia alone, but he reassures her that he is wanting to talk to the group. Eventually, she leaves and Mercuphobia gives them a tour of his home, which honestly goes to show how nice he is. Just as they start to love him, he tells them he used to be a hardened killer and monster, before he accidently saved Camille and had a change of heart. It turns out that, despite this, Mercuphobia cannot control his powers and he's causing the city to sink, having to turn the people into fish so they can survive, and he has one last goal to achieve before he can allow himself to be killed by Elefceria's past assassins. Back to Kyria, who is talking to her Guild Master Skullion, the "Corpse Dragon", who smirks that Mercuphobia is a false Water God Dragon. In the next chapter, we are back to Blue Pegasus! Jellal has come to them, asking if they have seen Touka. After this fun glimpse at the old gang, the focus is back to the stalking of Touka. Levy is unsure about continuing this stalking, and this causes Levy and Gajeel to argue before she storms off. Gajeel continues the stalking, wanting to make sure Touka is safe because he cares about Levy, and they follow her to Natsu's home. There, Touka fangirls over him and has her day out before going home to her flat, which is literally next door to Lucy's! Some fanservice from Touka causes Gajeel and Juvia to fall, and Levy catches them in the "act". 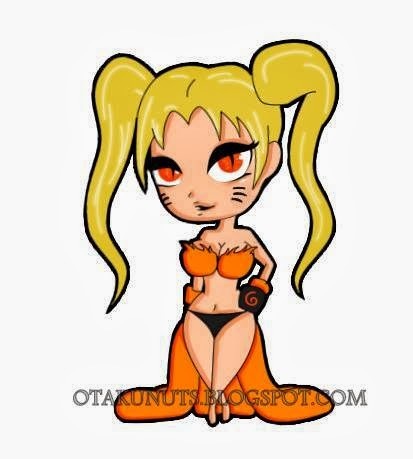 Levy feels her stomach, mumbling to herself about how Gajeel is an idiot. And we return to Mercfovia, who has told them that he wants to recover the entirety of his magic so he can fix the city, but it was stolen from him by "the white wizard", who is like the anti-Zeref. And now I am officially annoyed at seeing this cliche so much in manga. Before this conversation continues, ash starts to flow around them. Camille returns to the room, and Skarion appears, along with the duo from before. They demand to have the power returned to them and the location of the white wizard, but Natsu objects, obviously. 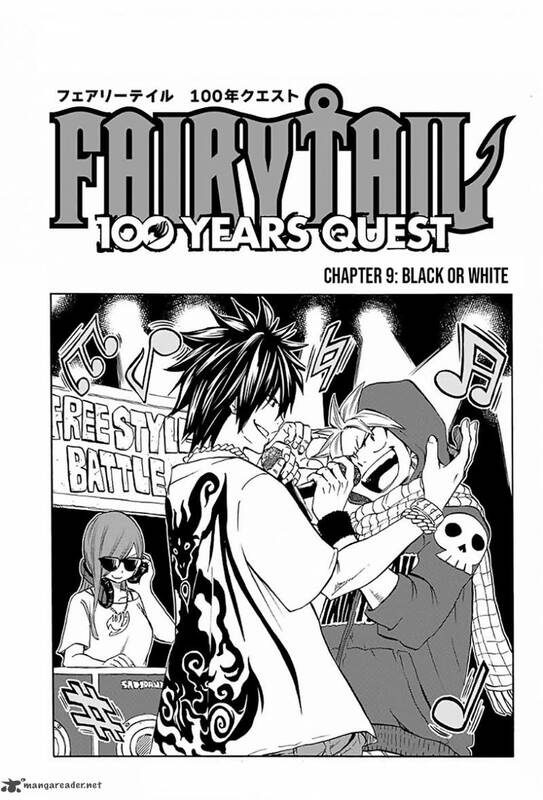 And to finish off our chapter, Jellal is at Mermaid Heel, who is told by Kagura that Touka is with Fairy Tail, and Jellal says that Touka is actually the century-old white wizard. Yes, a lot of other stuff happened but who cares when a ship is actually pregnant! I've often complained about how many stories are about how the relationship starts, but we never see the difficulties and enjoyment of one during the story. Scott Pilgrim is an example of how fun it can be when done right. Basically, more of that stuff please! The characters of Diabolos, the enemy Guild, are getting more and more ridiculous with every chapter, but that isn't a complaint. They're over-the-top but not obnoxiously so. The leader, Skullion, seems somewhat typical but I'm still loving Kyria and Madmorl, leading me to hope that they'll have plenty of time to engage the audience in the future. Surely, this can't be the only arc for them, right? Mercuphobia might seem like a discount Jellal, with his face tattoo and dark past, but he is at least a fun type who seems like he could be deserving of the angst and guilt. His home is a nice location, if a bit too unexplored for my liking, and I liked his chemistry with Camille, who is also a fun character and, whom I believe, to be the true Water God Dragon. Or at least, the key to that power. In a fantasy story, it seems too unlikely that she is a normal person when she's been paired with Mercuphobia for so long. These guys have basically nothing to do in this review, sadly. And lastly, Touka is a white wizard! What does that mean though? Does it mean her entire magic is based on being consistent? Does it mean she's evil? Good? Hopefully, they aren't just telling us that she's a "white wizard" because she's as strong as Zeref. There has to be more to it, And even in the shower, she has that tail... but wait. The tail isn't in this picture down below, is it? Is it just an error made by the artist? Best Part: Everything involving Mercuphobia. Worst Part: "Falling on top of someone, causing romantic interest to snarl" cliche is stupid and cliche. I'm only posting this picture to prove to you that she has no tail here! That's all! Touca has the ability to take in aspects of every person she interacts with, in the end stealing them completely. At the start she acts a lot like the boy who also wants to join FT and only "reveals" her upbeat personality to the guild after having been exposed to the members. 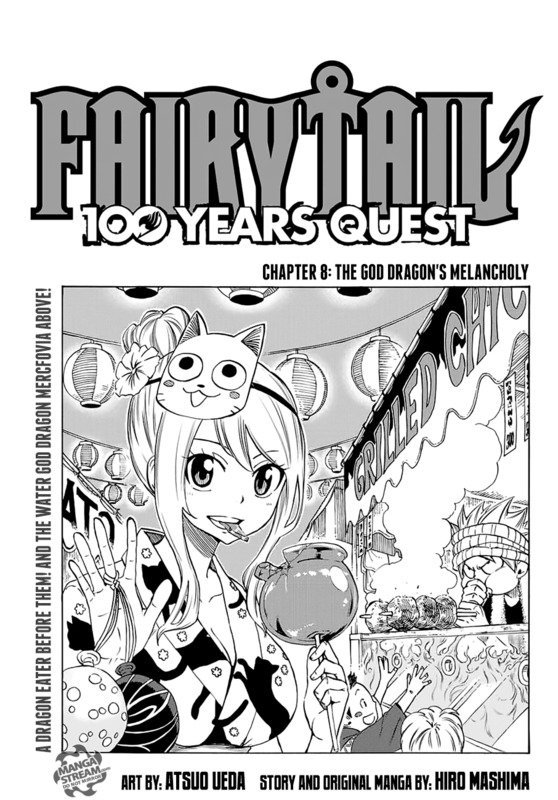 Even the she is like a mix of how Lisanna was as a child (wanting to marry Natsu) and how Juvia acts towards Gray.Notice how Juvia has only mentioned him once since the first chapter and this is JUVIA we're talking about. The tail only appeared after she was talking to Lissana, who has beast takeover as her power. I'll blame all irrational Levi-moments on pregnancy hormones. And yes, I hate those cliches as well. I first thought Camille could be the WaterGodDragon as well but I'm not sure now. Maybe she is a WaterGodDragonSlayer. Boy do those titler grow long, did Minato come up with them? Oh, I have an idea for sixt generation Dragon Slayers: Children of Dragon Slayers who inherited the powers. An interesting thing I remembered, is how Irene spoke of the "legend" of a white mage and a black mage who fought over a certain man. 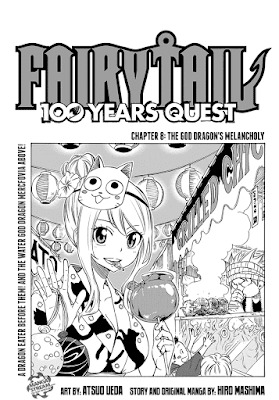 I remembered her words ever since she told that, but I thought that Mashima decided to get rid of that foreshadowing/plotline. But now this might make some sense. I hope Hiro expands on this. The "man" they fought over might be Natsu, while the black and white mage are Touka and Zeref. Just some food for thought.